Problems with memory and concentration, along with a general feeling of not functioning mentally as well as usual, are informally referred to by patients as chemobrain. Health care professionals call these symptoms cognitive deficits, from the word cognition, which means thought, and the word deficit, which means falling short of. People often notice these problems during chemotherapy treatment. Within one year of treatment, many people find these difficulties greatly improve or no longer exist. However, for some people, chemobrain can continue for years following completion of treatment. Tell your doctor if you’re having trouble with your memory or notice any other symptoms of chemobrain. He or she can help eliminate some of the factors that can also cause cognitive problems. For example, medication that treats nausea can make you less alert and affect your ability to think clearly. A simple change to your prescription may make a real difference in how you feel. There are things you can do to help yourself. 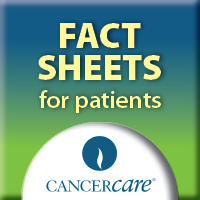 Please see CancerCare‘s fact sheet “Combating Chemobrain: Keeping your Memory Sharp” for helpful tips. If one year has passed since you completed chemotherapy, and you have tried self-help techniques to cope but are still troubled by memory and related problems, you will need a professional evaluation. Professionals who are skilled at assessing and treating the symptoms of chemobrain are called neuropsychologists. Neuropsychologists are psychologists with special training that prepares them to help people experiencing trouble in areas such as attention, new learning, organization and memory. These doctors will do a complete evaluation and determine if there are any treatable problems such as depression, anxiety, medication and fatigue. They also identify the areas in which you need assistance, as well as your areas of strength. After their evaluation is complete, neuropsychologists may suggest cognitive remediation or cognitive rehabilitation. This process involves working with a professional on problem areas and developing a plan that helps improve your functioning so you can better manage your daily life. Remediation should also include practical ways to address your specific areas of concern. Professional organizations can refer you to a qualified neuropsychologist. These are listed in the resource section of this handout. You can also ask your physician for a referral. Once you have found a neuropsychologist, work with him or her to determine your insurance coverage for an evaluation and cognitive remediation. Some Medicare and Medicaid plans and private insurers pay for these services, but coverage varies, so it is important to have this information before deciding on a treatment plan. Talking with a social worker who understands cancer issues can be very helpful. Oncology (cancer) social workers are trained to help individuals cope with the emotional impact of these types of problems. CancerCare‘s staff of professionally trained oncology social workers can work with you develop a plan to address these difficulties, including referrals to important resources. We offer detailed advice on the telephone, online, or in person to help you improve your functioning on many levels. CancerCare also offers free counseling, education and financial assistance.